The Arturia KeyLab 88 Hammer-Action Hybrid MIDI Controller is a full sized MIDI controller keyboard that gives you the response of a natural acoustic piano, while adding maximum control for shaping and tweaking your sound in your favourite DAW. The Arturia KeyLab 88 provides you with in-depth control over your favourite synths and software with assignable knobs, fades, and drum pads, allowing for maximum expression in a performance. 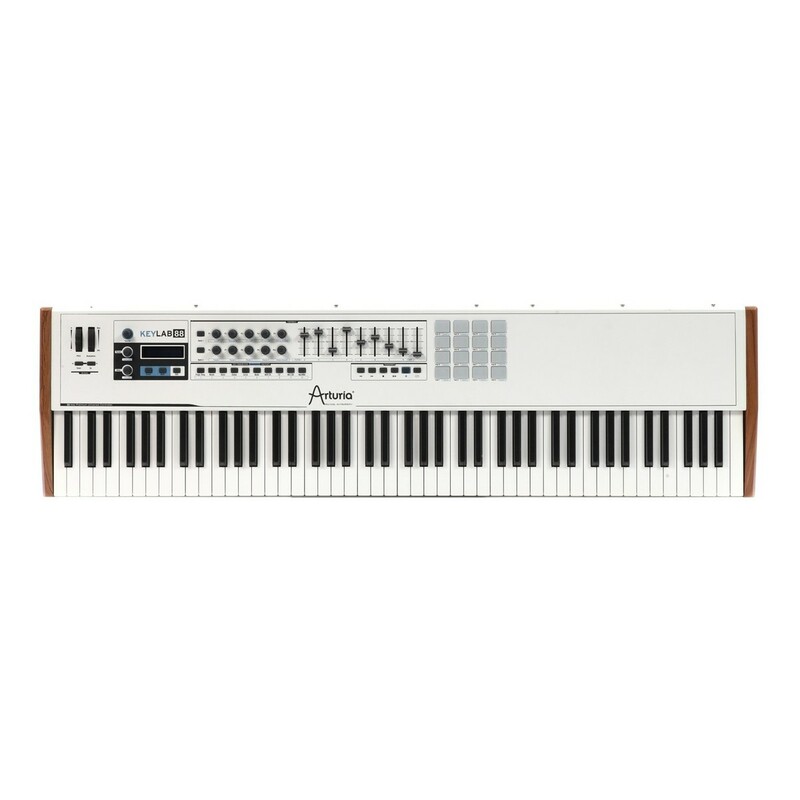 The Arturia succeeds at being a powerful piano instrument, as well as being a universal MIDI controller that is compatible with any third-party software and hardware. It is the ideal MIDI controller keyboard for modern keyboard players, pianists, performers, and producers. Additionally, Analog Lab is included providing you with over 5000 high-quality presets with tweakable parameters. 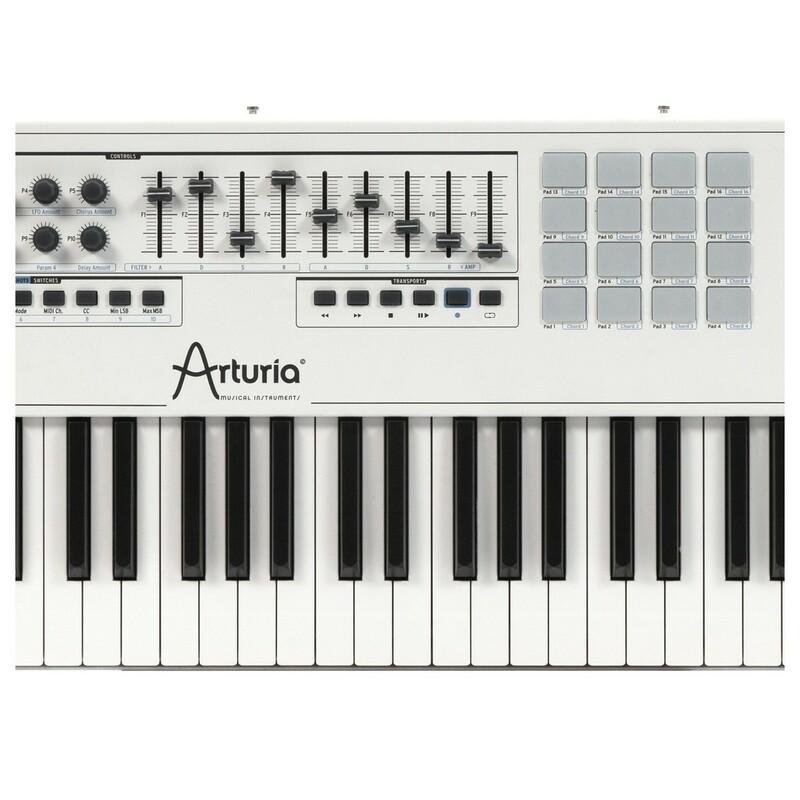 The Arturia KeyLab 88 is made for performance and maximum expression both in the studio and on stage. It features a range of controls that allow you to tweak, edit, and filter your selected preset to shape and mould the sound you want. It is the perfect companion for the modern producer and performer. 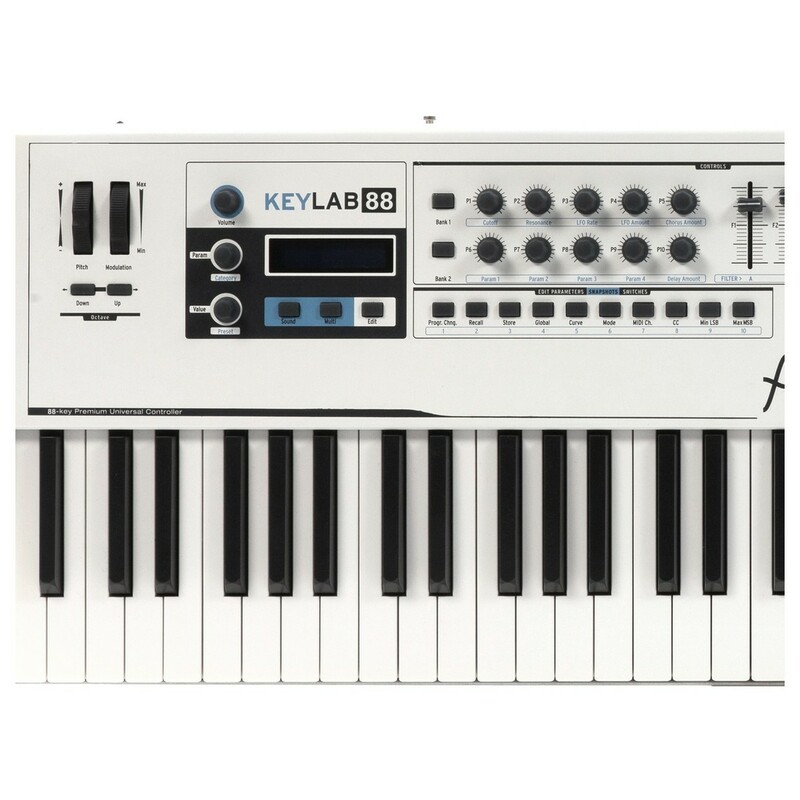 The Keylab 88 features several switches, encoders, faders, and 16 velocity and pressure-sensitive pads that allows you to modify your sound. 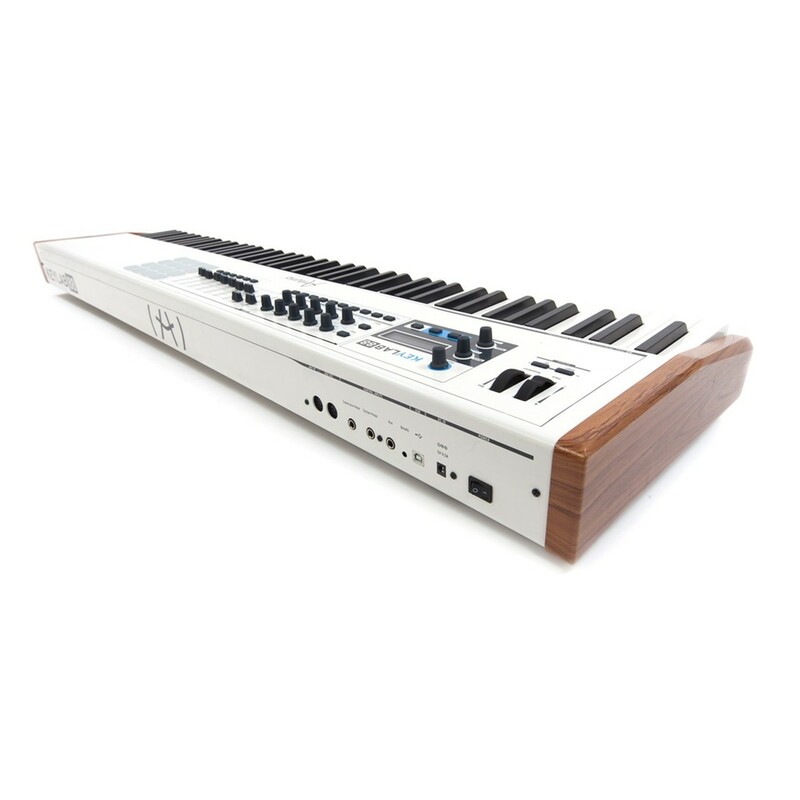 Its controls can be configured for practically any MIDI purpose, providing flexibility. The pads can be used to trigger samples, play chords, sweep filters, and more. With a range of on-board controls, pads, and parameters, the KeyLab 88 strives to give the user freedom over the full-size keybed. Arturia KeyLab 88 offers a new depth of control over your favourite synths and software. 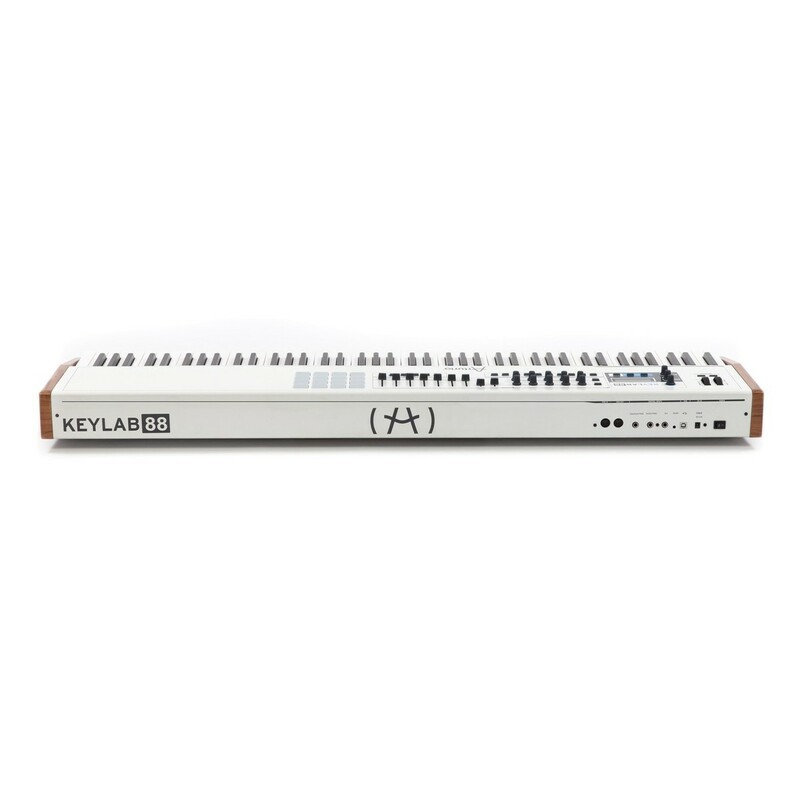 The KeyLab 88 can be connected up using MIDI for your external synthesizers. It is USB class-compliant, so it is compatible with any other music software you own, allowing you to use it in your favourite DAW. The keyboard can act as a universal MIDI controller, allowing it to be compatible with third-party software and hardware. MIDI assignments can be customised using the screen or included MIDI Control Center software. 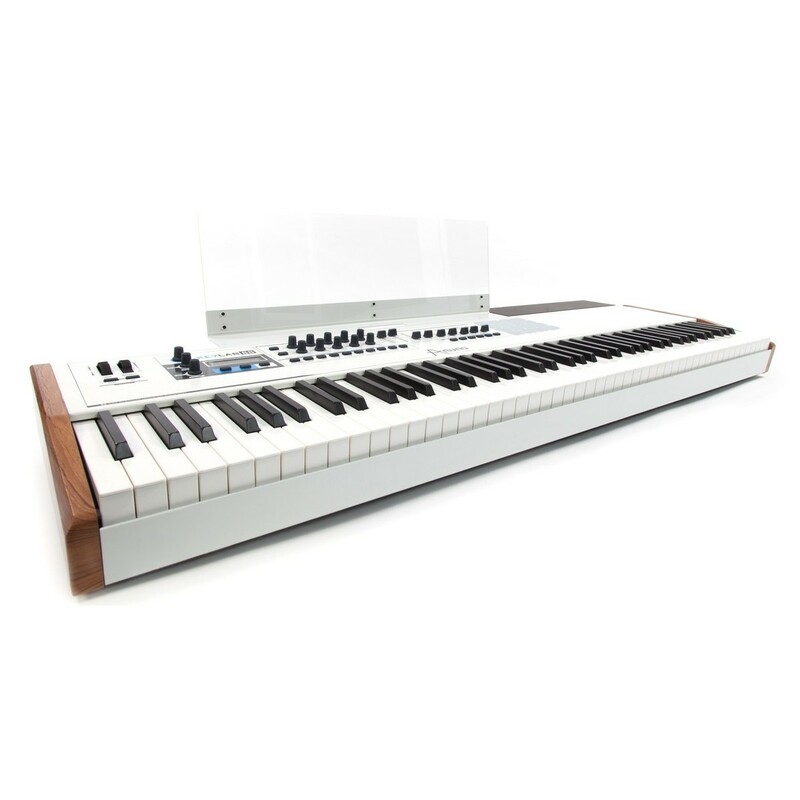 The KeyLab 88 keyboard gives you full access to Arturia's Analog Lab software. The keyboard is already preassigned to work with the included software, giving you in-depth control for shaping your sound. Control filter cutoff, resonance, ADSR envelopes, and much more. Analog Lab provides you with over 5000 preset sounds over a range of the V Collection instruments. Load up high-quality sounds instantly, and tweak parameters to your liking for producing or performing with. Easily browse through the library with lightning-fast speed, and quickly access the sound you need. Once you have found your sound, start exploring the parameters and dive deeper into sound editing. 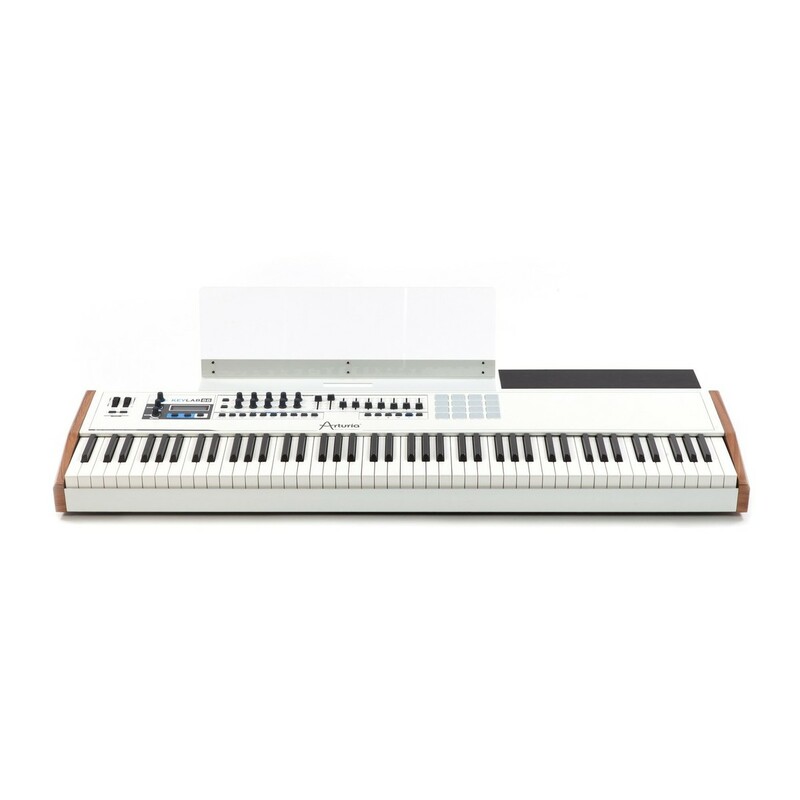 As well as including Analog Lab, the Arturia KeyLab 88 also comes bundled with 2 virtual piano instruments. Combined with the hammer-action keyboard and quality virtual piano sounds, the KeyLab 88 offers a realistic piano experience for the modern pianist. Included is the UVI Acoustic Grand Piano, a sample-based instrument that provides you with a realistic emulation of the Steinway Model D Concert Grand. The second piano included is the Piano V, which features 9 different world-class pianos that have been precisely crafted using Arturia's modeling technology.